Kilay is life and I know everyone wants to have that perfect arch that makes every person passing by will take a second look at you. 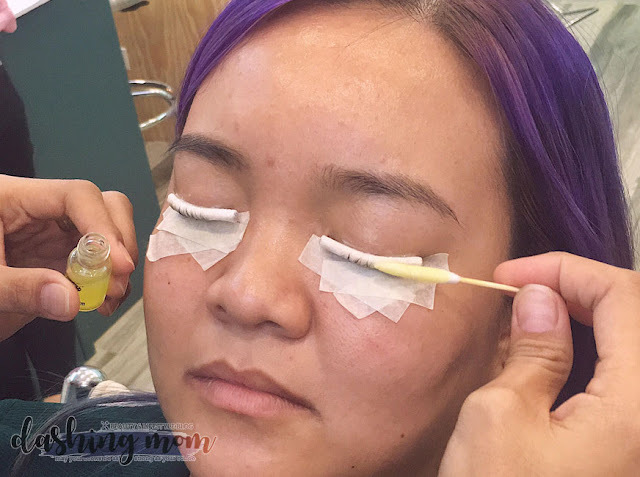 Mostly, malls today offers a variety of eyebrow salons that can fix your brows. Lots of women see that brow grooming is more than just a tedious chore. It is so hard to choose where to go and what service best suite your needs. Worry no more because Happy Brows is here! Happy Brows shun cookie-cutter, Spartan services in favor of more personally tailored approach evident in everything from interiors to services. 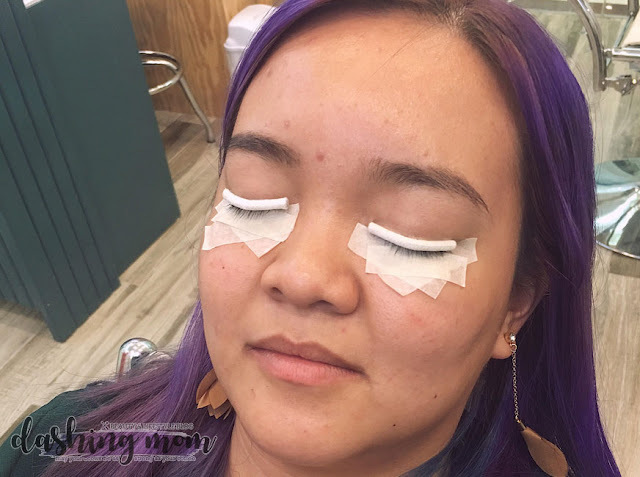 In terms of expertise, you can rest easy knowing that each technician is expertly trained to trim, tweeze and shape your brows anchored on your bone structure, eye and face shape, or even with your hairstyle. The result is a pair of fabulously groomed brows that's only ever possible when you're in the hands of someone who understands that kilay is life. 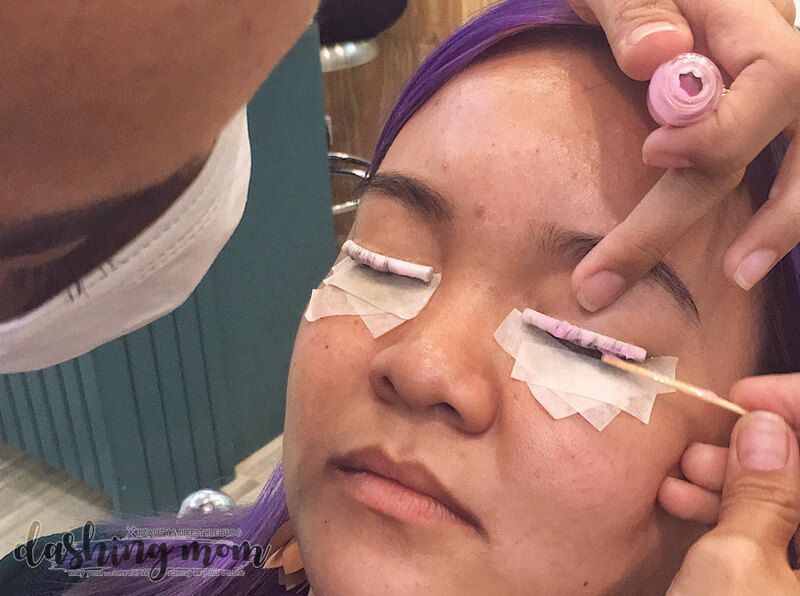 I'll be sharing with you my experience on Eyelash perming today and what to do and to expect. The first thing that the technician did was she asked me if I have to makeup on my lashes. The technician cleans my eyelashes it is a gentle makeup remover it will not sting your eyes. She put a tape for my under eyelashes, so that the upper lashes. She starts the procedure by putting a solution to my eyelash, and round cotton to hold the shape of my eyelash. After the application, we waited for 30 mins for it to set. I almost fall asleep, good thing that they have this comfortable chair perfect for this service. After that long 30 mins, she proceeds to the next step, where she again applies some solution to my eyelash. The odor of the solution sting a little, but it is tolerable. Also a plastic wrap was placed on my eyelashes. I think this will help the solution to stay and build that curl.We waited again for about 15 mins for this process. After the 15 mins the technician removes the plastic and waiting time is for only 10 mins. After all the waiting game she had already removed the round cotton an here is the result. I have naturally long eyelashes, but they tend to go downwards. On my opinion eyelash perming is better for those who have long lashes. It will give your eyes a lift and brings a brighter look for your face. The overall experience was worth it, all of the waiting time is ok because the result was great! Now I can wake up in the morning and see my lashes are still giving me life. I can now skip the eyelash curler whenever I do my make up. So try out this service at Happy Brows Gateway! I will show down below the services they offer. 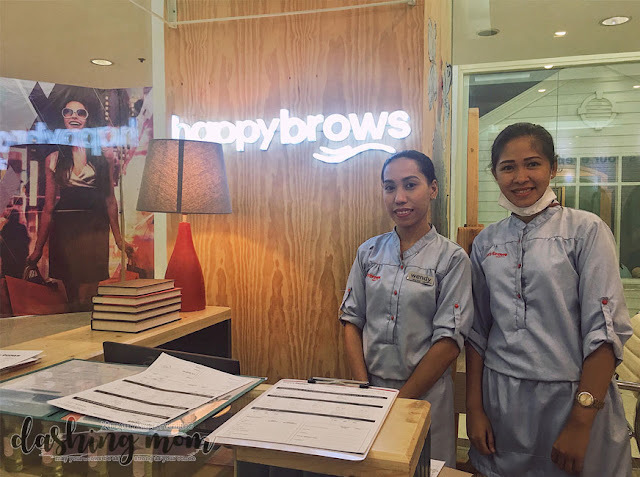 Visit Happy Brows at Gateway Mall, Araneta Center and indulge in the Happy Brows experience yourself.